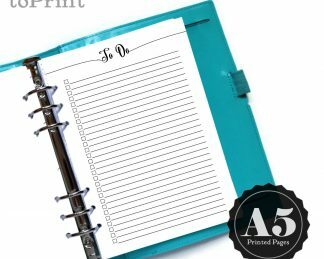 These Weekly Lists & Boxes Planner Spreads are instantly downloadable PDF files which you can print out yourself at home or take to a print shop. They are for printing personal planner sized pages (95mm x 171mm). 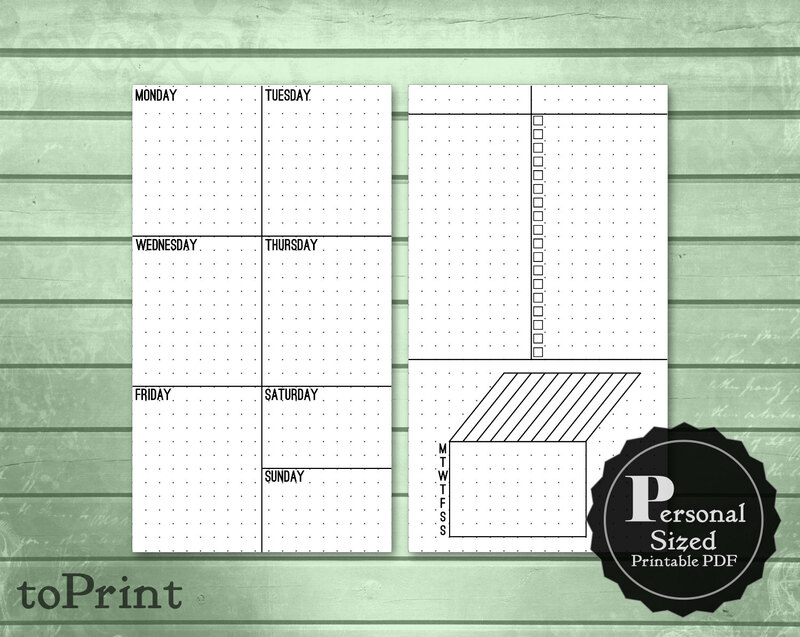 These were designed for someone who needs ongoing lists for weekly activities, as well as space for individual days. The compact layout has list areas with header space for labeling. One list has check boxes, while another is open for more free-form planning, doodling, decorating, or quotes. 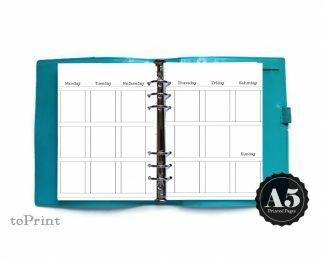 A habit or chore tracker is included, with spaces for each day of the week and a grid format for filling in squares to track completion of tasks. All spreads are provided with three background options: plain white, 5mm square grid, and 5mm dot grid. 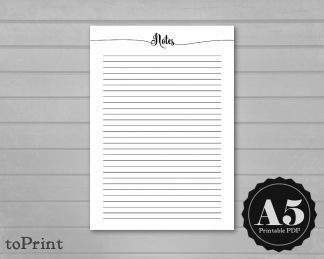 The files can be printed two per US Letter size page (with crop marks and bleed), or onto paper already cut down to personal size.